Are we too serious in the Grange? Should we focus on fun in the Grange? If you want to start a debate in your Grange, ask these two questions. Then try and define "fun" as a Grange. 1. First it is healthy. Studies have shown that people who laugh and have fun, statistically, have longer and healthier lives. Who doesn't want to have a longer and healthier life? Laughter and friendship are potent parts of a healthy life. 2. People want to have fun. There are many things in life that are not fun, so those things that are fun often draw people. They may be looking for something of value, but if they can have fun at the same time, it becomes a big plus. 3. It is easier to get a task done when the participants are having fun. No matter how tedious or dirty a job is, if you're doing it with others and having some fun, it isn't so bad. Any task can be done with an element of fun. And remember, when we are having fun the job goes faster. 4. Having fun draws a group together. If you want to have a "family" atmosphere in your Grange, your members need to identify closely with each other. Having fun together will bring them together into a tighter group. When people view each other as extended family, it empowers them to encourage each other without fear. 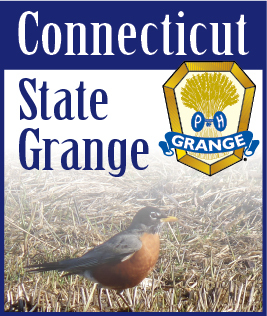 This becomes a real benefit in welcoming new members into your Grange family. 5. Fun is a draw. Do you want members to come to meetings? Then you need to have something to draw them there. Fun is an effective way to get members to attend meetings. If members are having fun, they don't mind an occasional long report or a lengthy discussion on a controversial topic. After all, they are going to have fun along with accomplishing something when they come to your Grange. 6. Fun is interactive. Fun is not necessarily entertainment, but it occurs when your members are interacting. When members kid each other or everyone is "sharing in the joke," fun is involving everyone. It is not just watching, it is part of participation. Every member needs to be part of the fun. Exclusion takes the fun out of whatever you are doing. 7. Fun is attitude. If you are going to enjoy something, it will become fun. You can't have fun if you're looking at things from a negative point of view. It is only with a positive attitude that you can have fun. It becomes a choice of if you want to have fun or not. You can laugh at a mistake and correct it together, or you can point it out as an error and punish the offender with a negative attitude. 8. Fun is action. It is hard to have fun without something happening. Something new might have to happen, or maybe a small action can give the opportunity for fun to happen. Just toss a piece of candy across the room and see if someone smiles. Try a little fun in your Grange and see where it goes.